Did everyone have a good Easter holiday? We spent the weekend in Auburn. We went to the spring football game on Saturday and spent time with my family. Chicken Legs and I grilled out when we got home. Overall, we had a really nice holiday. Here is a quick recipe to use up some of that leftover holiday ham. We ate these for lunch yesterday, and they are delicious! If you don't have any Easter ham, you can use deli ham for these sandwiches. Either will taste great! 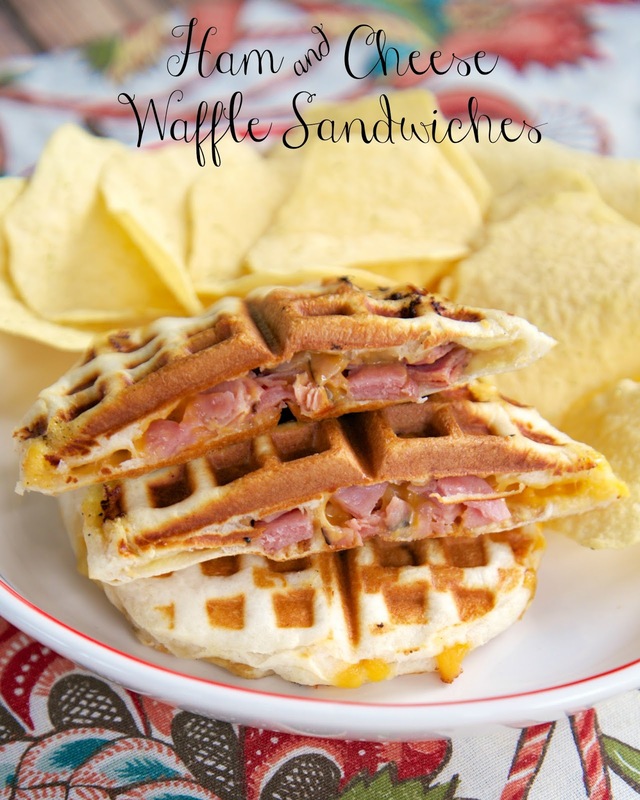 The key to cooking these sandwiches in the waffle maker is to heat the waffle maker on medium-high heat. You don't want the waffle iron screaming hot, or the biscuits won't cook all the way through. These took about 3 minutes in my waffle iron. They were golden brown on the outside and the biscuits were fully cooked. Separate each biscuits into two layers. Spread one half of biscuit with 1/2 teaspoon of honey mustard and top with 1 1/2 tablespoons of cheddar cheese. Top with 1 1/2 -2 tablespoons of ham. Place second layer on top of ham and press edges to seal. 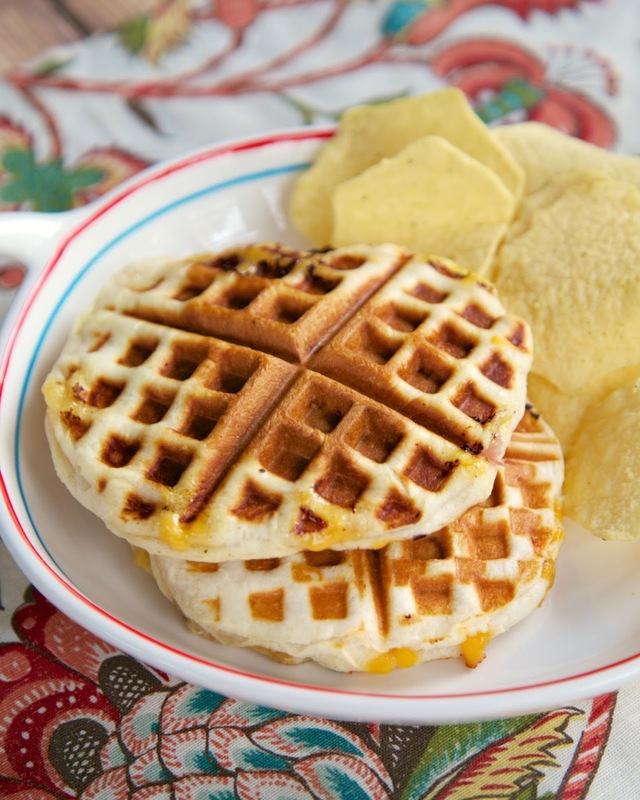 Place biscuits in waffle iron, and cook for approximately 3 minutes. Remove from waffle iron and repeat with remaining biscuits.